This extract type allows the definition of a generic SOQL query. Salesforce uses the proprietary query language SOQL (Salesforce Object Query Language) for data retrieval. It has similarities to the SELECT commands of SQL (Structured Query Language), but it is not compatible with ANSI-SQL. For more information on SOQL, see SOQL SELECT Syntax. A Salesforce Connector License and a Connection to Salesforce is required for this extract type. With an arbitrary SOQL Select Statement, data can be read from the database. All options of the SOQL syntax (e.g. for filtering, sorting, and joining) can be used. Field Name: an alternative name to the original name of the column. 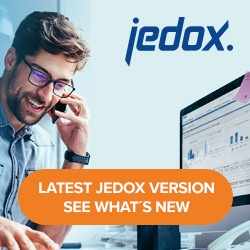 The field will be referenced with this name for the rest of the Jedox Integrator process. Default: defines a first basic mapping. A plank, several blanks, or a null value will be mapped to this default value. Use the Bulk API provided by Salesforce for processing large numbers of records asynchronously. If not set, the (classic) REST API from Salesforce will be used; this API may result in better performance for small and medium data volumes. Use Caching: Memory, disk, or none (default). See Caching in Extracts for more information.